Beautiful turned-edge, multi-part construction with hand stitched perimeter. Allows the ultimate in customization. Get a perfect match with our placemats and desk blotters. 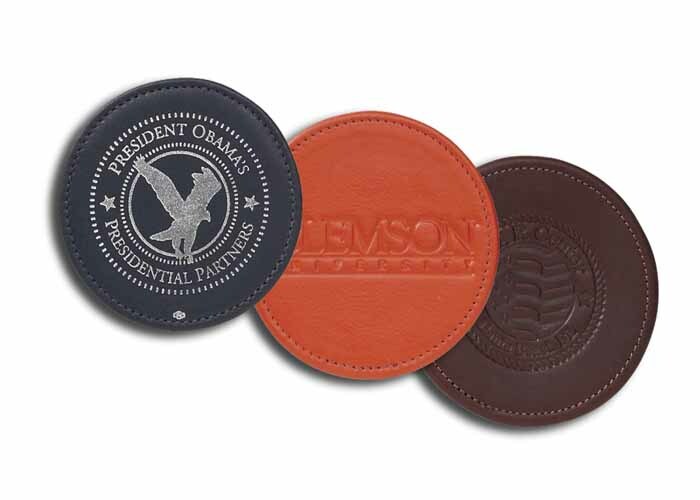 Optional suede leather backing available $0.125(G) 3-7/8" Diameter.